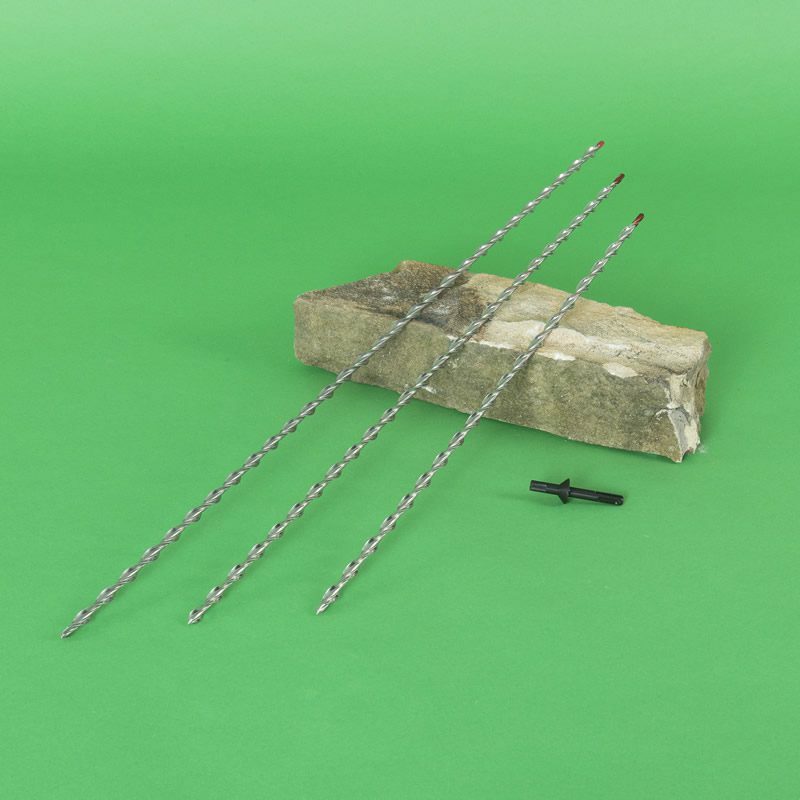 High tensile stainless steel crack stitching bars are used to reinforce cracked masonry walls. They extend 500mm either side of the crack and withstand a tensile load of at least 8kN. Bars are available in a selection of sizes. 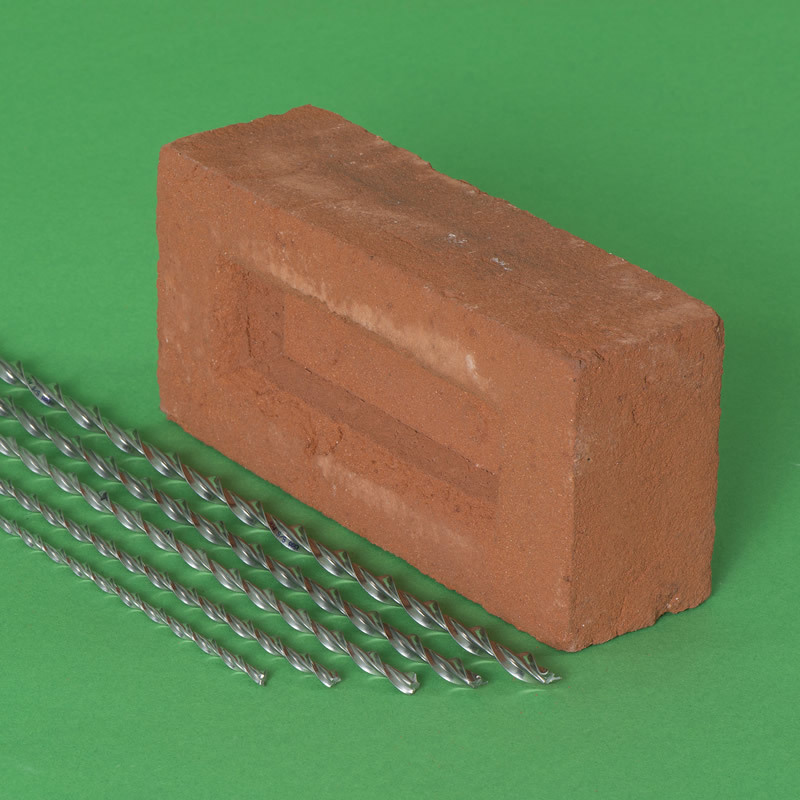 Crack stitching bars provide an effective solution for repairing and reinforcing cracked brickwork. 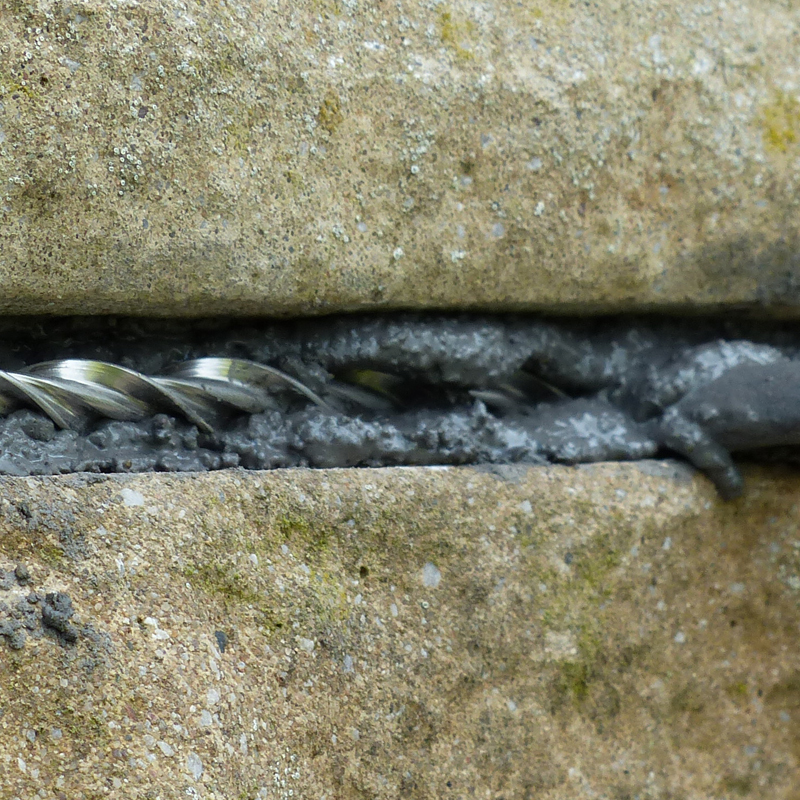 Crack repair rods are bonded across cracks in walls to reconnect and strengthen masonry. 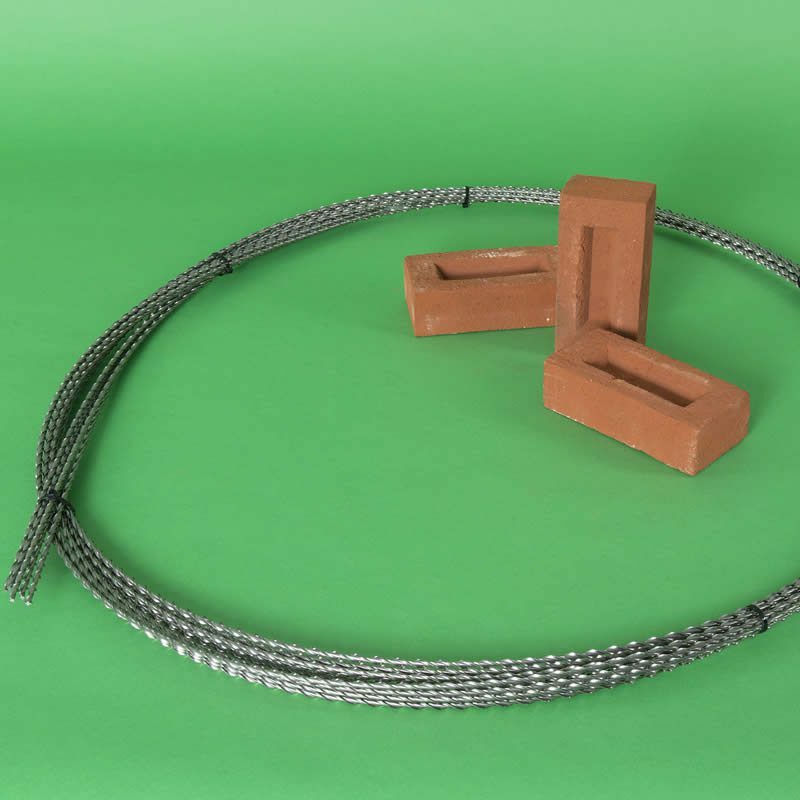 Stainless steel brick stitching bars have a tensile strength that is double that of conventional rebar and a spiral twist that permits a degree of torsional yield within elastic limits and provides an excellent key for bonding into mortars. 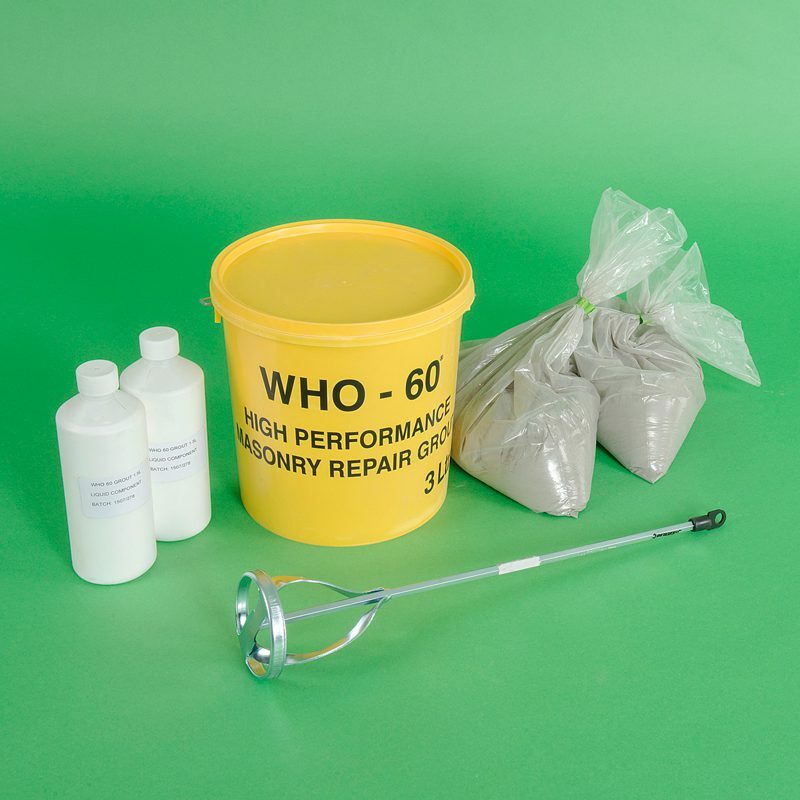 WHO60® is a polymer modified grout that has been specifically formulated to bond crack stitching bars in masonry walls. 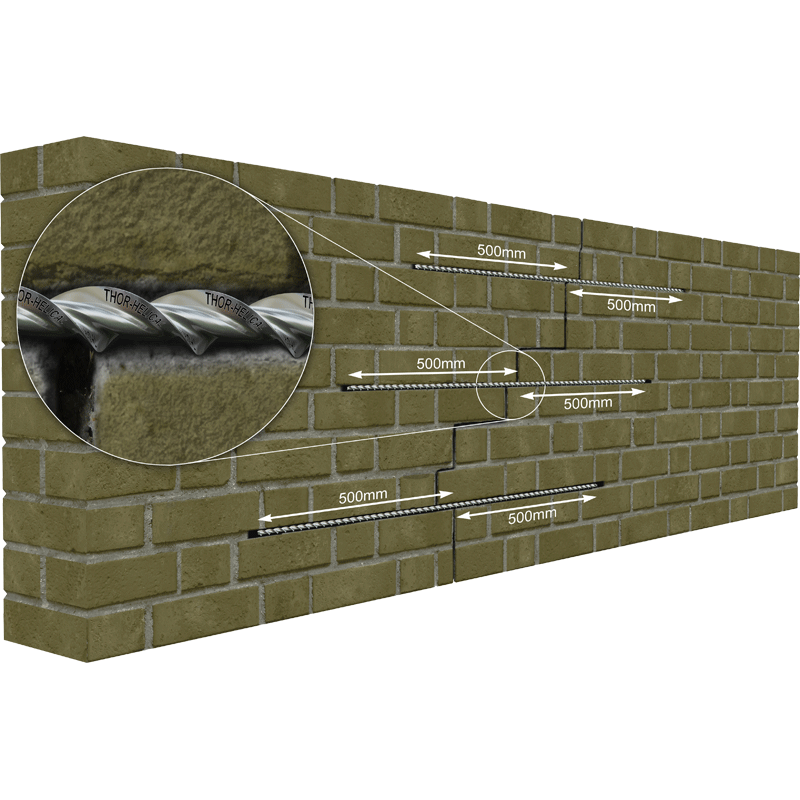 The structural repair system integrates the axial strength and elasticity of Thor Helical bars with the properties of WHO60® grout to enhance the tensile, shear and flexural capacity of masonry walls. 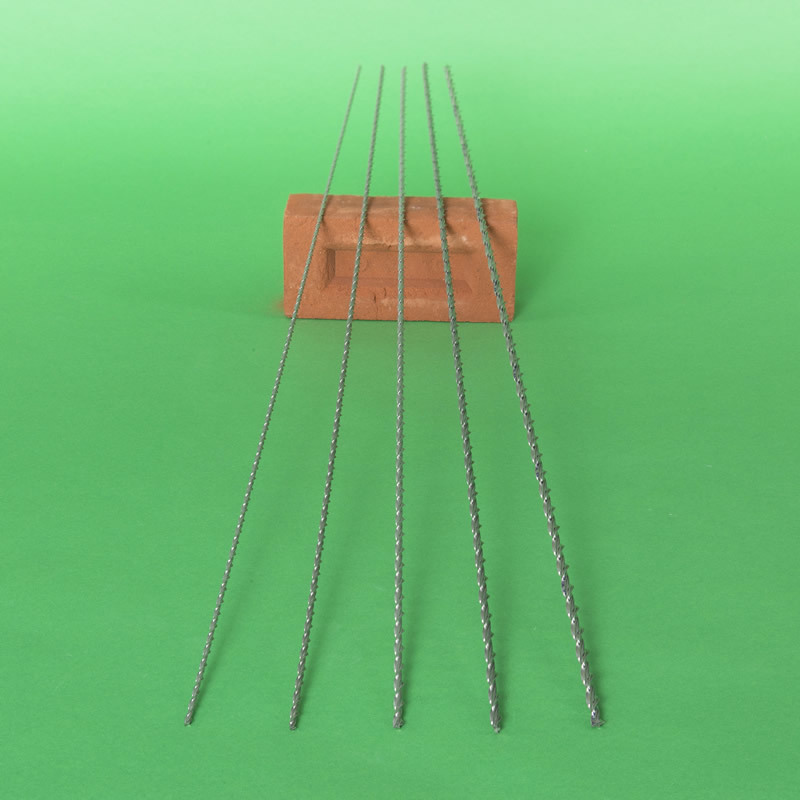 Anchored across fractures, the Thor Helical crack stitch ties progressively accumulate building loads and disperse them back into the structure, spreading loads and strengthening cracked walls. 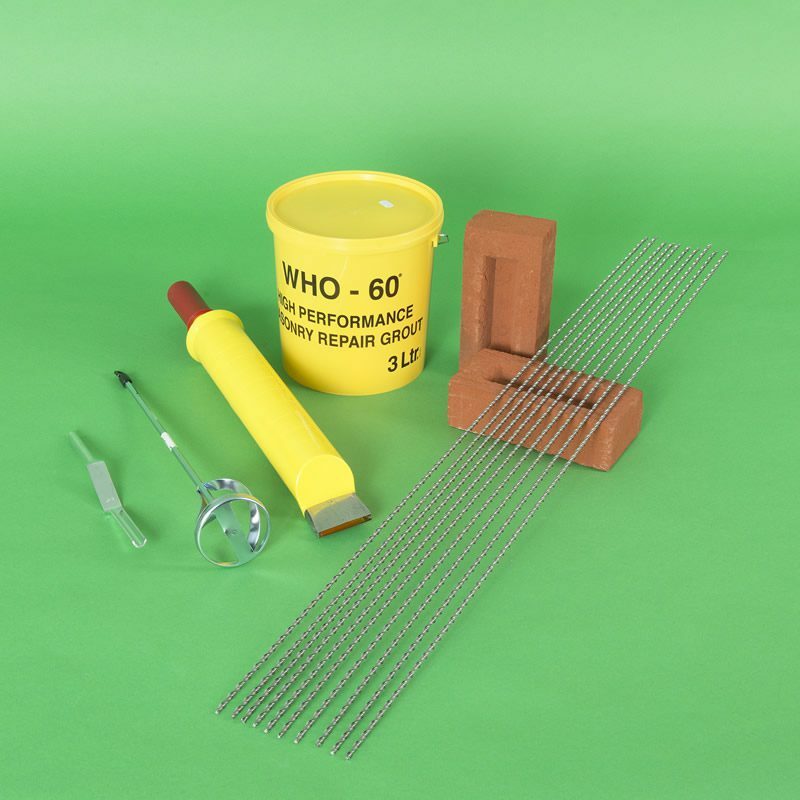 This effective masonry stitching repair provides resilience against further cracking with minimal cost and little disruption. Stainless steel bars for crack stitching are supplied in lots of 500 and packed in resale bundles of 10 and 25. Single bars bedded 20mm deep: Double bars placed 15 & 25mm deep: Triple bars buried 10, 20 & 30mm deep. Height of slot at least 3mm greater than diameter of crack stitching bars.